Beginning in 1846, the year it was established in Le Locle, Switzerland, Ulysse Nardin supplied marine and pocket chronometers to naval officers. He also utilized merchant captains who prized their accuracy and aesthetics, and its anchor trademark became justly famous. The birthplace of Ulysse is in Le Locle, Switzerland. 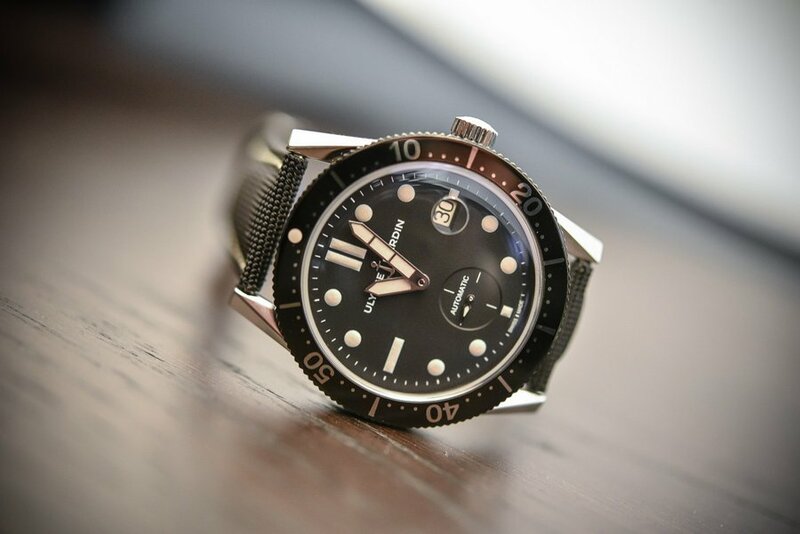 Nearly 120 years later the brand had expanded into handsome diving watches as well. For its latest offering, the stunning Diver Le Locle, Ulysse Nardin pays homage to its seminal diving model from 1964 housed in its archive. The name, of course, refers to the company’s manufacture in Le Locle, a temple to traditional horology. An important key to beautiful vintage watches today. 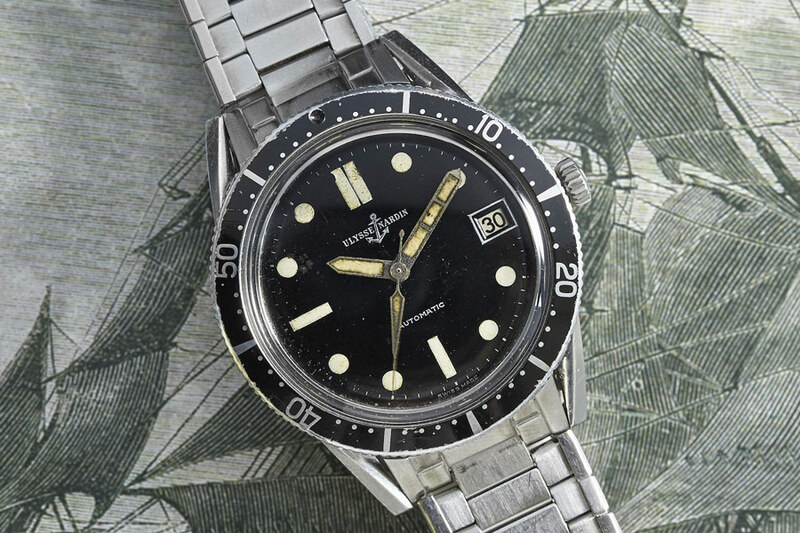 At first glance the $9,600 Diver Le Locle might look like a beautifully maintained vintage piece. But its self-winding UN-320 manufacture movement is state-of-the-art, and integrates silicium (silicon) technology. Hard and light, silicon parts are not affected by temperature nor susceptible to magnetism, unlike the Milgauss which is only resistant, and does not require lubrication. 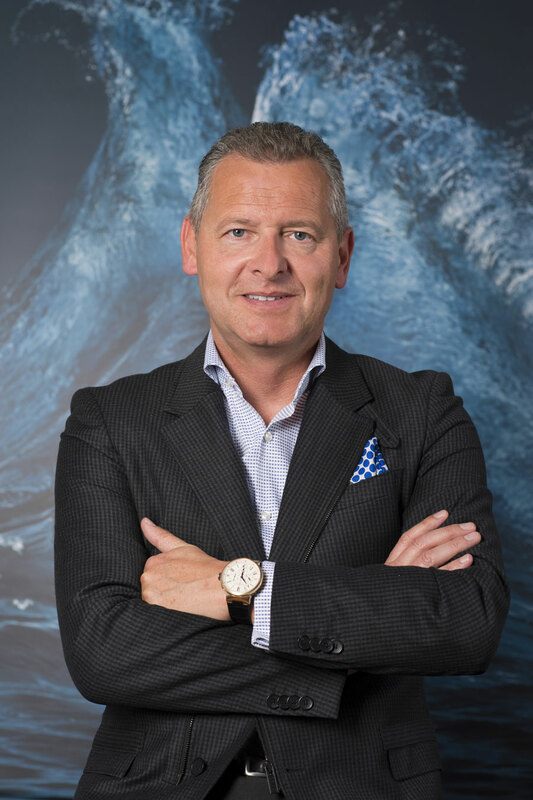 Ulysse Nardin pioneered their use in mechanical watchmaking, specifically in making the escapement, “the heart of the movement where magnetism, lubrication and high friction are key” as the company’s CEO Patrick Hoffmann has said. The heart of the movement where magnetism, lubrication and high friction are key, says CEO Patrick Hoffmann. The black-dialed beauty features a magnified date at 3 o’clock and can be quickly set both forwards and backwards. A diving watch to the core, it features highly legible Super Luminova indexes, the essential uni-directional bezel. Lets not forget the water-resistance to 100 meters. 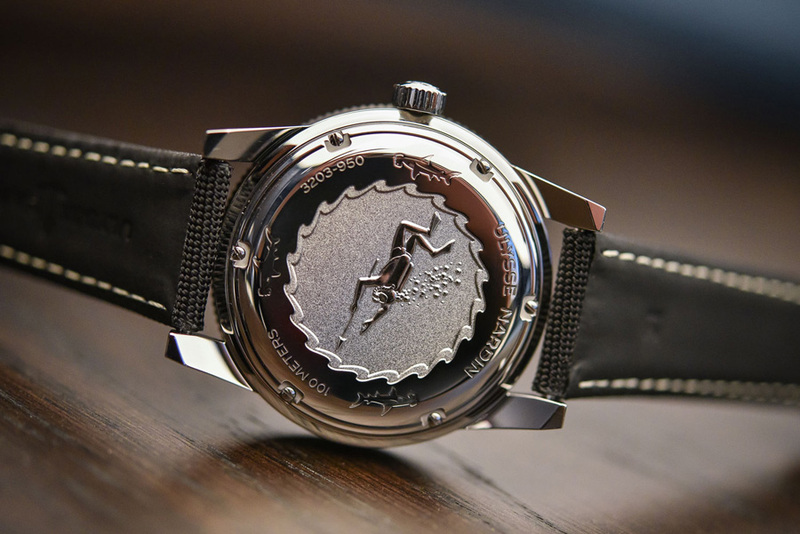 The case-back meanwhile reveals a unique engraving of a diver in the depths of the sea, while the black strap which at first appears to be standard issue nylon is in fact constructed of durable sailcloth straight off a world-class racing yacht. This is more of a purist’s tool watch than some Ulysse models, but we think its straightforward good looks and utility could appeal to collectors. Bravo.